Following the recent protest in Haiti, The US embassy in Haiti has contacted the State Department and requested additional security personnel. We were informed that the request has been granted and as a result, approximately 13 Marines, as well as other security personnel are already heading to Haiti to reinforce the current staff of the US Marines Corps and State Department security personnel already in place there. The United States Marines are one of the four branches of the United States Armed Forces responsible for conducting amphibious operations with the U.S Navy. On July 28, 1915, when Woodrow Wilson was the U.S President, the United States occupation of Haiti began with the landing of 330 Marines. 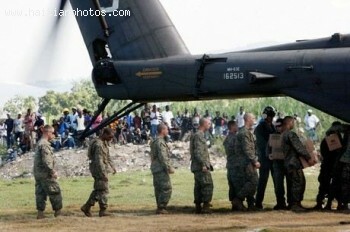 This July intervention took place following the murder of Haitian dictator President Jean Vilbrun Guillaume. He was killed by some insurgents angered by his political executions of elite opposition. Historically, the first batch of the USS Montana disembarked on the Haitian soil more than one year earlier, on January 27, 1914. The U.S occupation in Haiti ended on August 1, 1934, after President Franklin D. Roosevelt reaffirmed an August 1933 disengagement agreement. Recently on July 6, 2018, when everybody was enjoying the world cup football quarterfinal matches, the Haitian Commerce and Economic Ministry issued a joint statement announcing an increase of 38%, 47% and 51% price for gasoline, diesel, and kerosene respectively. 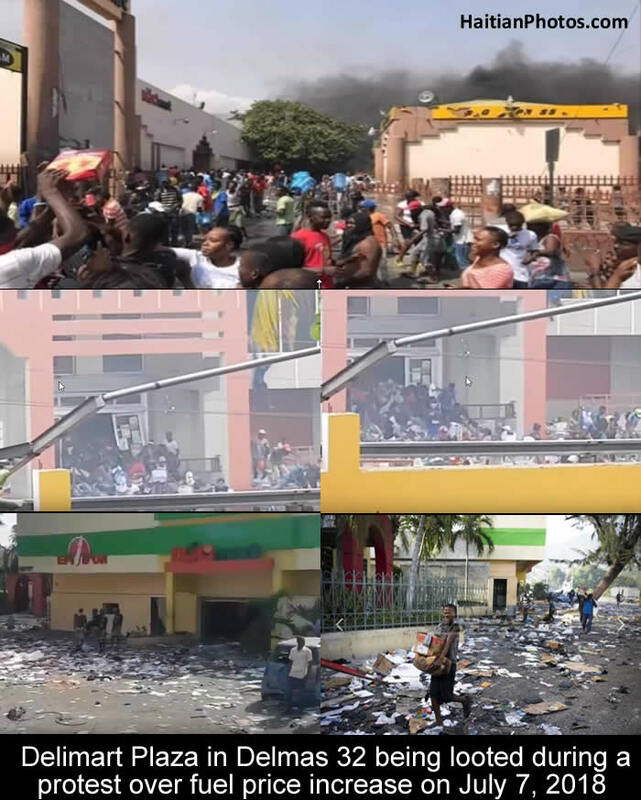 Major protests erupted on Friday in the country with demonstrators using burning tires and barricades to block major streets across the capital and in the northern city of Cap-Haitien. Dozens of shops were looted and burned. Cars were set ablaze. At least four people were killed. It has been reported that at least seven people have been killed in Haiti during the protest over a significant rise in gasoline prices. Demonstrators burned tires in the streets, looted several shops and set cars on fire. With the announcement of the Haitian government to raise fuel price up by 38%, 47% and 51% for gasoline, diesel, and kerosene respectively on July 6, 2018, violent demonstrations broke out across the country. The crowd placed barricades that blocked the main routes and burned many vehicles. They did not spare the beautifully manicured tropical landscape as well as magnificent views of the city. Dense black smoke covered the city. So far, at least seven people killed and dozens of businesses were looted or vandalized. 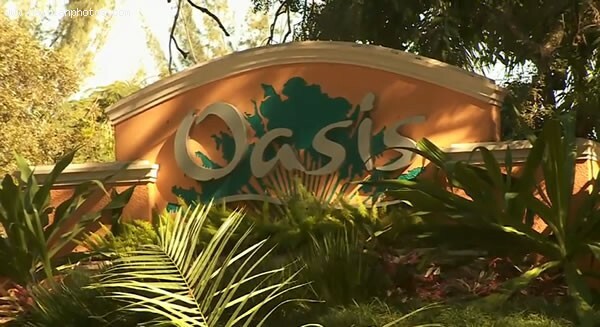 The mob set fire on the most elegant city hotel 'Hotel Royal Oasis' in Port-au-Prince. The hotel is located in the modern and safe neighbourhood of Petion-Ville near many embassies, government agencies and international corporate offices. All the cars parked in the hotel were burned. Experience the largest mango collection in the world, including the diverse mangos of Haiti. Our staggering display offers a beautiful journey through genetic differences within mangos. Learn how mango colors, shapes and aromas differ from region to region. Enjoy two days of the King of Tropical Fruit. We're offering lectures, cooking demonstrations and tips to keep your mango trees thriving, pick up a trick from local chefs at a cooking demonstration, shop artisan vendors or pick up delicious foods from local vendors, sample refreshing brews perfect for Summer. Thirteen Haitian nationals hired in Haiti were involved in the scheme. One Canadian employee was fired. They were implicated in obtaining money or property from the population by fraud or deceit. These people used numerous schemes and frauds to steal over $1.7 million. 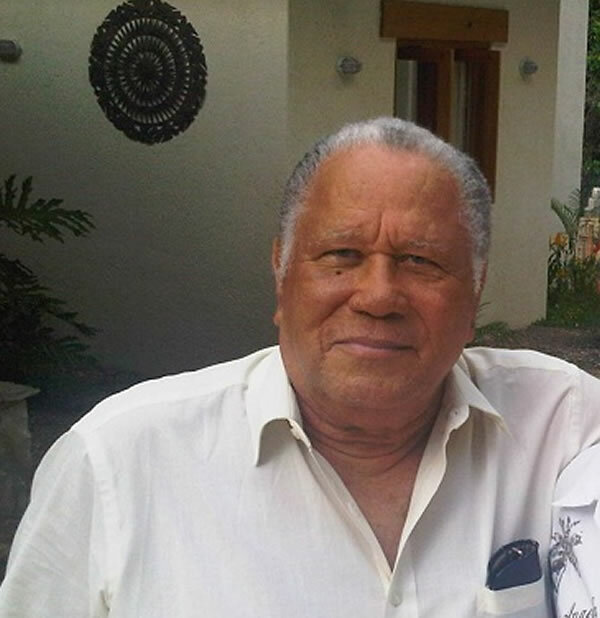 Former Haitian President Henry Namphy has his wishes granted. During his exile in the Dominican Republic, Lt. Gen. Henri Namphy made it clear that he never wanted to set foot in Haiti. To the dismay of many, the former Haitian President will not be buried in Haiti but rather in the Dominican Republic. His body will be put to ground in the Dominican Republic, his land of exile. he body will be exhibited at La Paz Chapel, of Funerarium Blandino which is located at Abraham Lincoln Avenue in Santo Domingo on Saturday, June 30 at 2pm. He will be buried Sunday July 1st at 4 pm at Cristo Redentor in the Dominican Republic. Lt. Gen. Henri Namphy died Tuesday afternoon in the Dominican Republic from lung cancer, according to his niece Elisabeth Delatour Préval. Namphy lived in exile in the Dominican Republic following the 1988 coup. He never returned to Haiti. He died at the age of 85. 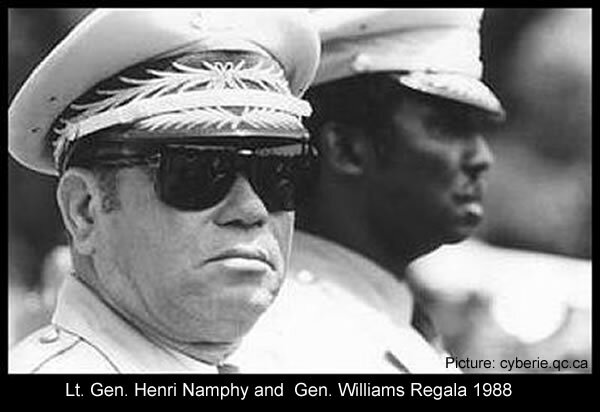 Lt. Gen. Henri Namphy was head of interim National Council of Government that took charge of Haiti on Feb. 7 1986, after Dictator Jean-Claude "Baby Doc" Duvalier fled into exile in France. He briefly served as president before his ouster in a military coup. Lt. Gen. Prosper Avril, would replace Namphy in another coup led by members of the Haitian Armed Forces. Here is a result of the new immigration policy being implemented by the Trump administration. What this video is showing is an audio recording that appears to capture the voices of small children. The Spanish-speaking children are crying out for their parents at a U.S. immigration facility. This audio that was first published by ProPublica is truly disturbing. The image of the child showing that she wants her parent and crying as they are taken away. 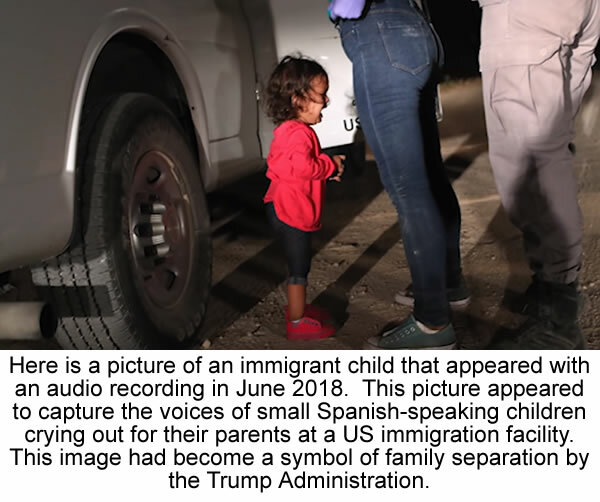 The photographer stated that the child was traveling with her mother for a month after leaving Honduras for security concerns. The recent order by Attorney General Jeff Sessions to follow policy changes and separate thousands of children from their parents at the nation's southern border has made news. Recently, an audio recording capturing the voices of children crying for their parents after being separated at the border. During his career that lasted more than 30 years; first as a federal prosecutor and state attorney general, and second as a Senator, Jeff Sessions has been a major anti-immigrant force. Mr. Sessions came to believe that immigrants, whether legal or illegal, posed a direct threat to the US by depressing wages, committing crimes and taking advantages of welfare benefits. The Dominican Republic could not ask for anything better than its actual trade relationship with Haiti. 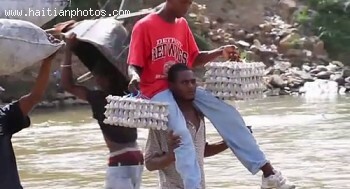 They are in command of the Haitian economy. 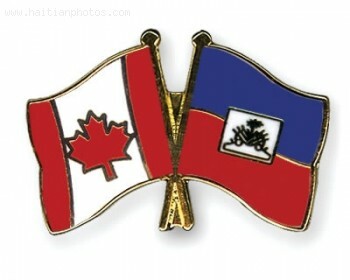 Officials in DR just reported that trade with neighboring Haiti has surpassed last year's figure of US$800 million. This was revealed by Foreign Minister Miguel Vargas in a recent address at a panel on "Dominican foreign policy towards Haiti". In return, his ministry is looking at empowering his consumers in Haiti by improving their economic and social development. He wants to create jobs to improve the well-being of citizens in both countries.